Assagenti represents companies operating within the shipping realm: liners, tramps, cruise ship's agents; shipbrokers specialized in sale and purchase and charter, for both tanker and dry cargo business; manning agents catering for their principals' crew necessities; yachting industry operators, including agents and brokers; aviation agents, general agents. Assagenti was founded in 1945 in order to safeguard the interests of its member companies and help them in solving problems relating to their activities. 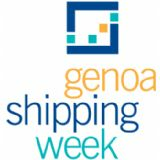 The Association has delegates in the board of National Federation (Federagenti) and consultants in the Chamber of Commerce of Genoa and in the Port Authority of Genoa. It is a founding member of Italian Shipping Academy and Genoa Port Center.